Close to 12 million people in the Horn of Africa are threatened by starvation. They are experiencing the worst drought the region has seen in decades. As a result of the drought, crop production has slowed and food prices are rising. 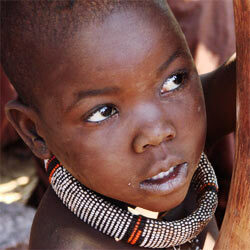 Malnutrition is running rampant, with close to 2 million children in need of immediate care. It's likely they will sustain long-term mental and physical issues if they don't receive the assistance they need now. According to the Office for the Coordination of Humanitarian Affairs (OHCA), these children are "in urgent need of life saving interventions." The UN is working with countless organizations to respond to the crisis, and we need to support our world leaders in coming together as a global unit and contributing to the recovery of this impoverished region. Sign the pledge supporting the UN's life-saving efforts in easing the crisis in the Horn of Africa. I'm signing to support the United Nations' efforts to provide food, water, and relief to those who are affected by the drought and famine in the Horn of Africa. That's 6,743 signatures! Let's keep the ball rolling.